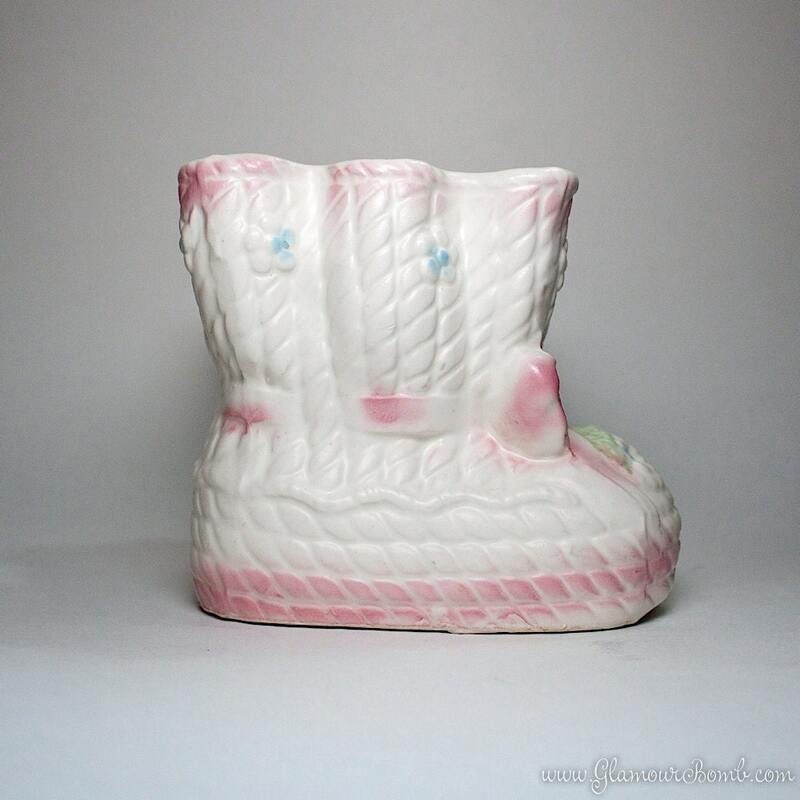 This is a precious Napcoware baby bootie planter in good vintage condition with no chips or cracks on the outside. On the inside the vase shows signs of wear commensurate with age having been used for it's intended purpose as a flower vase. Original label on bottom as well as manufacturer's mark. Measures 5-1/2" x 5-1/4" and is 4-1/4" tall. 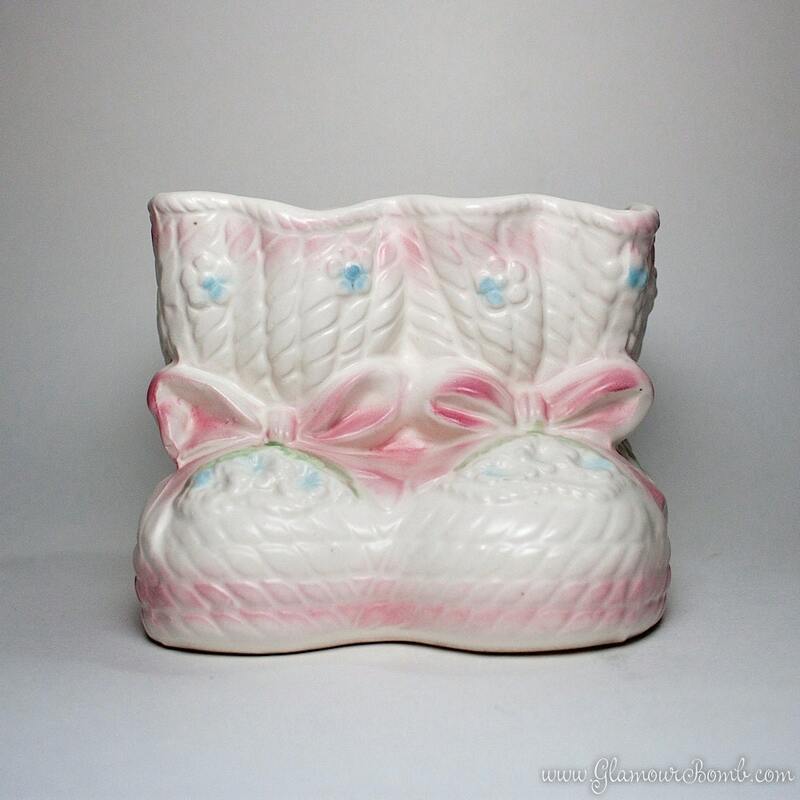 Fill this vase with flowers as it makes a perfect gift in the nursery or at the hospital.